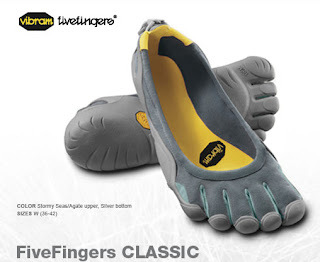 PBJ Quilt Sandwiches: Just Ordered These - Vibram Five Finger Classic Shoes! Just Ordered These - Vibram Five Finger Classic Shoes! Very excited that these were finally in stock in the color I wanted, so I ordered them today! Can't wait to walk around "barefoot" and play outside with the pups with these on my feet! I know they will take some getting use to, but I think they will be GREAT!